CHEAPER Than Market Price General 1.5 Ton Split A/C. Capacity:18000 BTU. 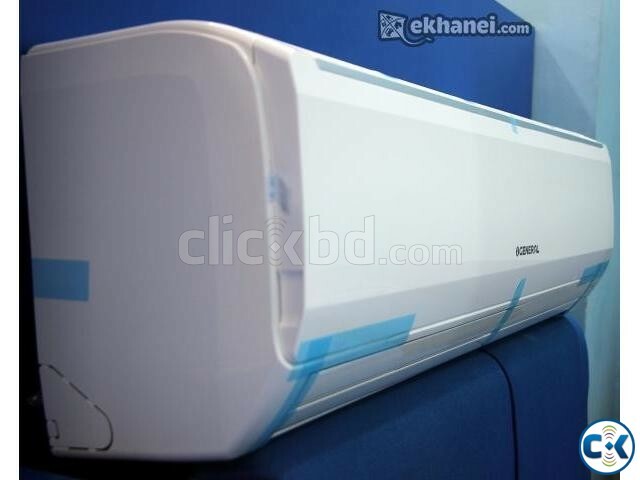 Origin-Japan; Assembled-Thailand BTU 18000 BTU General ASGA18AET split type air conditioner with capacity 18000 Btu / 1.5 Ton, origin: Japan, assembled: Thailand. This 1.5 Ton General split AC features: smart energy-saving operation, adjustable air flow, auto shut flaps, auto restart, double auto swing, up/down swing flaps, super quiet, washable air filter, humanized sleep function, quick and easy installation, handy type remote controller. ***OUR ALL PRODUCT ARE BRAND NEW INTACT BOX…!!! Warranty 02 years on compressor & spare parts. 2 Years compressor 2 Years Spare parts 2 Years Service free The warranty does not cover natural calamities. We also do ( General AC, Sharp AC , Carrier AC, York AC , CC Tv , IP camera, Tata sky , Sony bravia , Samsung led ,3d, Curved , 4K TV ) 2 Years free home service warranty ****************************************************************************************************************** 1 Ton , 1.5 ton , 2 ton, 2.5 ton , 3 ton , 4.5 ton , 5 ton .. Available here *********************************************************************************************** Corporate Office House no:16,Road 05, DIT Project Opposite of site Bank ASIA National Electronics Company.